At this time of year most of us are preparing and planning for the Christmas cheer and celebrating the New Year. However, the gaming industry is again largely focused on recent legislative changes, and as most of you would have seen the National Gambling Reform Bill has been passed by the Senate and House of Representatives and now merely awaits the Royal Assent. The obvious changes and affects have been largely spoken about but there still are a few areas that should be of concern to the industry. Since the 1999 Productivity Commission Report, the industry has continued to face many challenges and will continue to do so. Our industry will always be a target and on the radar of politicians due to the emotional attachment to gaming. 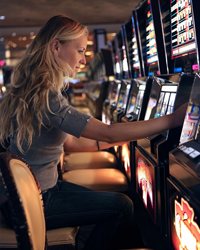 In the recent approval of the National Gambling Reform most would be unaware that the Productivity Commission has been sanctioned to review Loyalty Programs and also Eftpos machines within gaming venues. Eftpos was seen as a secondary solution to the limitations put on ATMs, however this recent announcement paves the way for further restrictions to the industry. One would be excused for asking the question; “what about lotto, online gambling, sports bet, horse racing… the list goes on”. No doubt this will be argued at great length from both sides, however at the end of the day should this not be left to the consumer? Do they not also have rights and thoughts on this issue? What about loyalty programs? Why shouldn’t your members be rewarded on what they spend? Why is this different to Flybuys, Frequent Flyer and many other rewards programs available to the general public? If you were to take out moral arguments and running a business outside of gaming, then wouldn’t it make sense to reward those consumers spending money in your business? In addition to this, Online Gaming and Social Media Gaming are lurking in the dark corner and growing at a rapid rate. Zynga Slots has over 2 million daily active users and Double Down Casino has over 1.5 million daily active users. Double Down Casino owned by IGT, grew by over 293% last year with revenues of $144 million dollars. These legislative changes are making it even harder for land-based gaming, where growth is minimal at most and it is hard to see smaller venues continuing to compete as we move forward. Clubs and Hotels will need to work extremely hard to ensure customers do not stay at home where they can sit on the couch whilst enjoying a smoke without having to walk outside, enjoy a couple of drinks, gamble on the internet (with his credit card), bet on the horses using the pay tv remote control while playing the pokies (or bingo or roulette or blackjack) on an iPhone or Tablet. While it may seem to be a grim outlook, there are definitely opportunities on the horizon for those willing to roll their sleeves up. Those venues who invigorate their current product (in all aspects) will achieve growth. We have seen through the past legislative changes where smart venues that have seen these as ‘speed bumps’ that have forced us to provide a better product to the community. Danny Nixon-Smith is available to discuss your gaming strategic plan to see you through this current ‘speed bump’ and to look at growing your gaming market share.